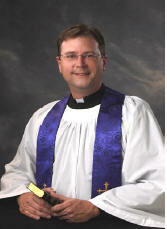 Thank you for visiting the website of Our Saviour Lutheran Church. May mercy, peace and love be yours in abundance. We invite you to come and see that light shining. We invite you to come feel the warmth of this light beginning with the warm welcome you receive from our loving people. We invite you to see the light in the shining radiance our biblically grounded and faithfully rich liturgical worship. Come and witness how the grace of our Lord Jesus Christ brightens our service to people in need here and around the globe.